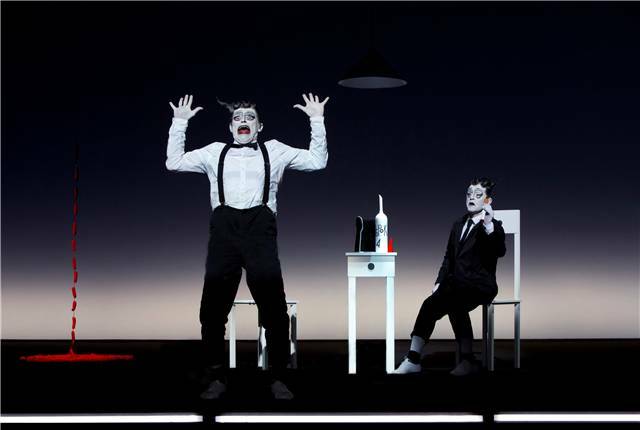 Kharms gets the Comeddia dell’Arte treatment, perhaps with a smidgeon of zaum thrown in, courtesy of Robert Wilson. In the main, it suits: Mikhail Baryshnikov and Willem Dafoe make for a congenial double act, the set and lighting effects are both expressionistic and childlike (a reminder that Kharms was a terrific children’s writer, despite his antipathy toward the little ones), it’s all very jolly yet with an undertone of dread. There is not much narrative to speak of, but then again there is little to be found in the original inchoate text, which might best be described as an absurdist skit on Crime and Punishment with a vibe of ‘I could, but I choose not to.’ It is a story about lack as much as anything and when Kharms writes of the hallucinations brought on by hunger, he is likely writing from experience: he lived a hand-to-mouth existence and died of starvation in 1942. Some of Kharms shorter writings, notably ‘Tumbling Old Women’ and the portrait of the red-headed fellow in The Blue Notebook (it’s Entry No. 10), have been incorporated into the performance. These additions work well. The Old Woman is showing at the Palace Theatre as part of the Manchester International Festival until 7 July. Further details can be found here. Not a virtuoso display of comic invention by any stretch of the imagination, but not an unmitigated disaster either: a mildly entertaining show, let’s settle for that. 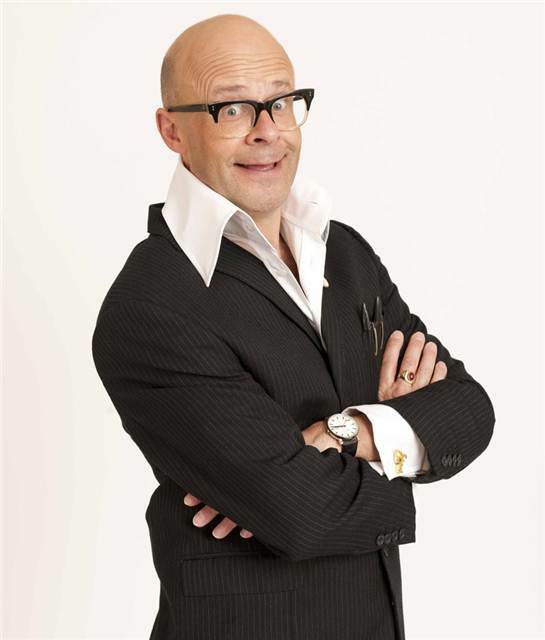 His antics – the physical aspect of Harry Hill’s comedy – worked best. The puns and gags were lame, audience interaction was dull (not entirely Hill’s fault, to be sure), and overall it was repetitious and silly rather than strikingly surreal. A ventriloquist skit involving a Jimmy Savile impression was spectacularly ill-judged; maybe it was added to include an element of ‘edge’. If you like Harry Hill, you’ll like this show: it was one of those. Hill now seems to think that if he just turns up, people will be satisfied. Paul Merton’s show is loosely based around the mental health problems he’d had some years back. The tone is light, though, not at all doom and gloom. Furthermore, it’s not all stand-up: there are also sketches and songs, some improvisation and ventriloquism, a few snippets of shadow-play. Rather a weighty variety to it all, in truth, and although that’s no bad thing at all, actual meaty substance is largely missing. If I had to elaborate on this qualm, I’d say that Merton seemed too comfortable and at ease, but maybe that’s just his manner. His demeanor vibed ‘going through the motions’, though perhaps he is just well-practiced. At any rate – best interpretation this one – it was a smooth performance just not awfully edgy or exciting. Limericks would have been welcome, and would certainly have improved matters – there were none, alas. There is a rich seam of grouchiness and grumpiness to Hall’s brand of humour, and Man does he mine it. The first half covered such topics as British and American politics and various audiences’ responses to humour. Hall also took time out to pummel Primark and cast a cold eye at Kraft’s particular aesthetic approach (‘laminated’ is the word that hit home most) to food production. He also grilled and riffed off the audience: those guys in the front row, sitting ducks the lot of them, took a hell of a beating. Well, a bit of a one: nobody died. In the second half there was more of the same splendidly strong stuff, plus some songs. One of them, which had the title of ‘Roberta’ and was about a young woman of the same name, stood out. A thought struck me during this song: Rich Hall and Crimson Skye on stage together, wouldn’t that be something? If you are looking for the kind of comedy that arises out of exasperation, sober disbelief at the goings-on in the modern world and dumbfounded despair at the same, then do go and see this cantankerous comedian. Those dark jewels are his hallmark and he won’t disappoint. 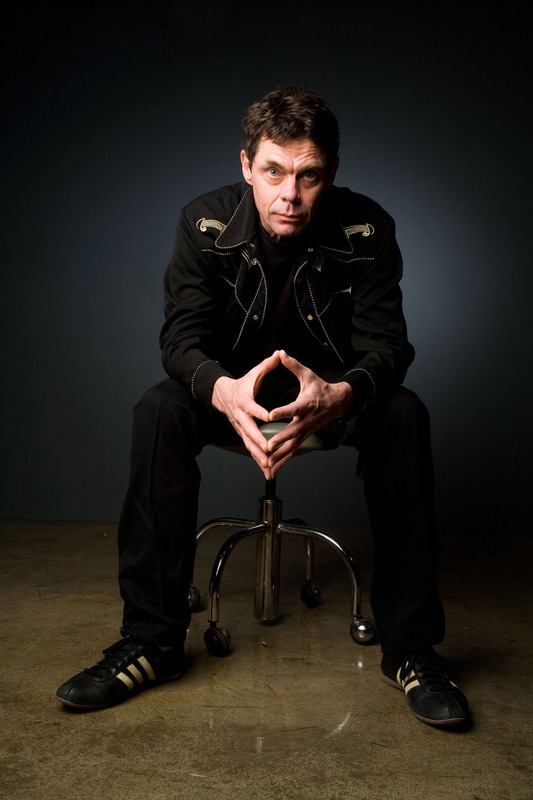 Rich Hall is playing at The Lowry until Saturday 14 April (details here) and then performs elsewhere in the UK, details here. In this show Cheryl Knight performs various monologues and sings a number of songs by Joyce Grenfell. She also reads from a fair few of the great comedienne’s letters. We got the well-known Lumpy Latimer routine as well as a couple of ‘Hey Shirl’ natters, amongst others, but best of all was a monologue called, I think, ‘In Transit’. It was about a mother travelling to America to visit her son who’d married a black girl. There weren’t many laughs in it yet it held your attention throughout. You felt that Alan Bennett could have written it, for as a portrait of character it was that good. Cheryl Knight does a terrific job of bringing Joyce Grenfell’s work to life with this wonderful show. Fans will love it, but it’s not only a show for them. People with only a slight knowledge of Joyce Grenfell, say from the St.Trinian’s films, will find there are many delightful discoveries to be made about her. 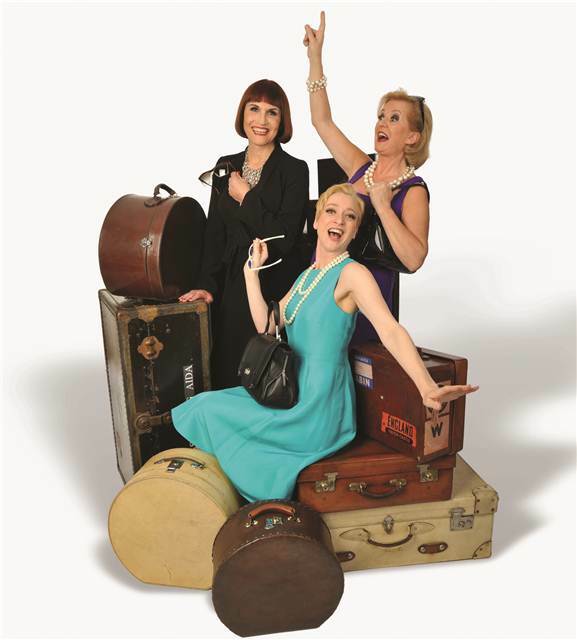 Turn Back the Clock is currently touring throughout the UK, tour dates can be seen here. It is a very funny show, this one, though you’d be at a loss to say what it is about exactly. There’s a lot of dastardly and decorous clowning, a series of absurdist vignettes and the odd plaintive appeal for understanding and forgiveness. You could say that the audience create the show as much as the performers; their role is sometimes to get or elicit a response. One clowns spends a lot of time dying – an arrow through the heart eventually does him in – and it is hilarious (but why?) and another, the archer and murderer, takes to the stage angling for a round of applause for his sniper’s instinct, his fine hand and eye coordination. And he gets it, naturally. If this were not a children’s or rather a family show, you catch yourself thinking, it would be a radical absurdist drama and quite a good one at that. The kind of thing Daniil Kharms might write and get away with – remember his ‘Pushkin and Gogol’. Anyway, Slava’s Snowshow is a real treat and a timely reminder that sometimes a man falling off a chair can be the funniest thing in the world. 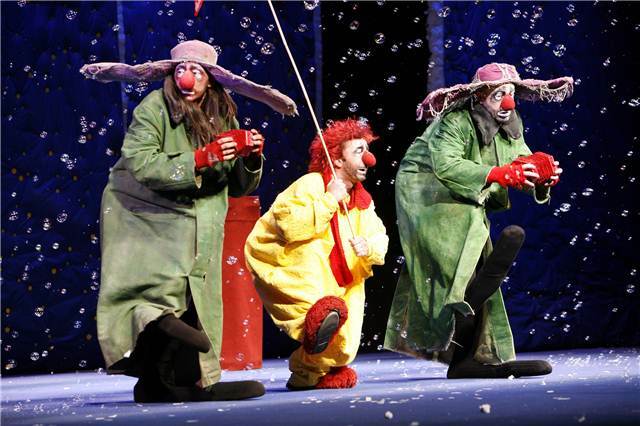 Slava’s Snowshow is at The Lowry until 30 October, and then tours throughout the UK. Full tour dates are here. You’ll be kicking yourself big-time if you miss seeing this show. For sheer entertainment, it rates a 10 out of 10. The format is simple, comfortable and even well worn – humorous songs sung, in the main, to piano – but the effect is simply stunning, pure bliss. There are songs about dogging, one night stands, cheap flights, and Germans; or rather German singers in the Marlene Dietrich mould. They all hit the sweet spot. And there are also a fair few Bulgarian song cycles, as you might imagine – don’t ask, experience. Even now, you’d be justified in speaking of Fascinating Aida in the same breath as Tom Lehrer or Flanders and Swann. Yes, these three ladies are that good. Indeed, not only are they classy in themselves, they’re a classic comedy outfit. Arrange to see this show now, to avoid disappointment, since many dates are already sold out. Fascinating Aida’s future tour dates can be seen here. Grand pastiche, an exhilarating pillage, satire with style – those are just a few ways in which you might characterise this entertaining foray into pop music’s rich history. What the duo do is make you aware of the surface depths and hidden shallows of pop music, the way it has insinuated itself into all of our lives – and they make you laugh and smile along the way. In a sense, pop songs provide a kind of emotional grammar which we all fall back on. They influence how we behave, and perhaps not always for the best. Overall, this was a splendid show, endlessly delightful. However, one question, which I’ve been specifically instructed to ask, remains: was Frisky wearing Melissa shoes? Frisky and Mannish’s Pop Centre Plus is currently touring throughout the UK, details here. 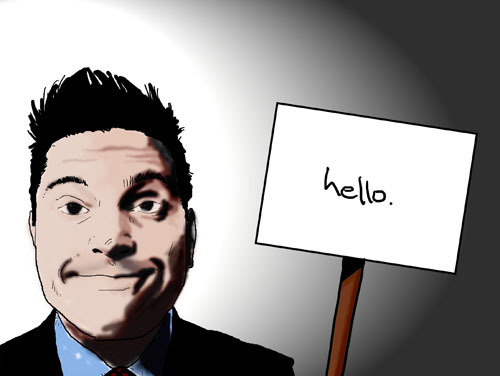 In this show Dom Joly traipses through the highs and lows of his comedy career. He covers the silliness of Trigger-Happy TV and the wry perspective evident in his travel shows, an indulgence toward various kinds of Johnny Foreigner. His comedy could best be described as wry, silly, fantastical, in some way curiously English. The best thing about Trigger-Happy TV, to my mind, was when Joly pretended to be a foreigner, a stranger lost in a strange land. Just seeing people go out of their way to help him was fun: an English comedy that somehow elicits Englishness in others. It was an enjoyable and entertaining evening, anyway; Dom Joly is a congenial host. However, he should not swear quite so much, I’ve been advised, and he should also think of a more civilised way to end the show. In the ensuing commotion I misplaced a biro, which disgruntles me still. Victoria Wood’s entertaining comedy is awash with ‘70s nostalgia. The play tells of a romance between two middle-aged people, Tubby (Vincent Franklin) and Enid (Jenna Russell), who when young sang in the Manchester School Children’s Choir. Their courting takes place in a world of Berni Inns and Wimpy bars, and on a bench in Piccadilly Gardens. Do you remember when yoghurt was new and exotic and Matchmakers were everyone’s special treat? That’s where we are. There’s a Poliakoff vibe to some of the scenes involving the choir, but on the whole this is vintage Victoria Wood territory. The songs and dance routines are terrific, particularly the ‘Journeying in to Berni’s Inn’ song and Enid’s ‘More than my name’ shtick in the second half. And the children’s choir was fantastic. That Day We Sang is at the Opera House until 17 July. Further details are here.